Which Kind of Washer and Dryer Will Suit Your Needs? What Size Washer Do You Need to Wash a King-Size Comforter? Dirty laundry is a fact of life. None of us like washing clothes, but we all have to do it. And if you want to do it in the most convenient and cost-effective way possible, then you’re going to need the best washer and dryer for your home. Choosing and even finding the best deal on washers and dryers is not an easy task. Not only there are too many brands and models out there on the market, but these appliances are pretty expensive as well. Returning them often is not an option, and so if you make a bad choice, it’s probably the one that you’re going to live with for many years to come. 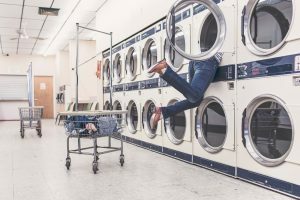 With this in-depth buying guide, which includes reviews and comparisons, we work hard to identify the best washer and dryer brands along with top rated models at multiple price points. Our research team also aims to answer the most commonly asked questions that people have when shopping for washers, dryers, combos and accessories online. In our comparison table of best washer and dryer sets, you’ll find some basic information about all of these models that are further down in our review section. We tested, reviewed and ranked all of these machines based on their overall features, built quality, reliability and value for money. It is also possible that some of the models mentioned below are backordered at the moment due to their high demand. You can pick any of these and hopefully it will turn out to be a right fit for you. Here we take a look at the top-rated washer and dryers in this review section. As mentioned earlier, we ranked our favorite models based on several important factors. 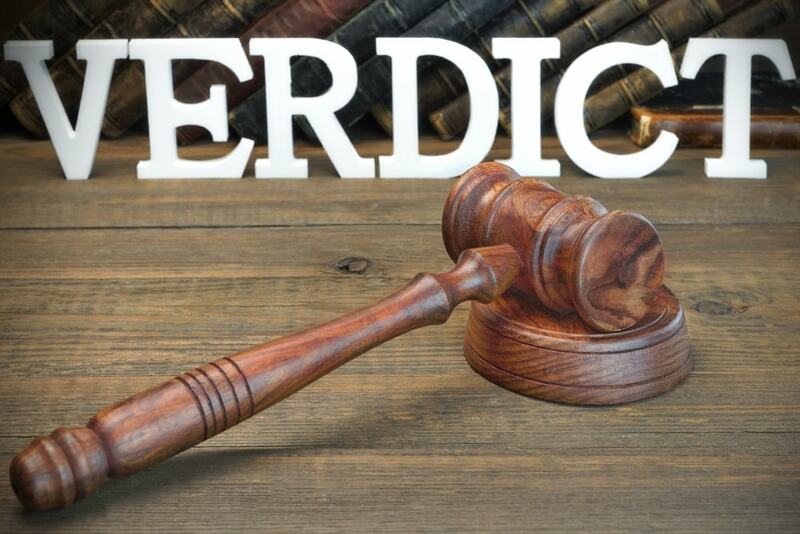 Hopefully, you’ll be able to make quick, informed and hassle-free decision after reading our unbiased reviews. If you really need to conserve space, then a combo may be the way to do it! A combo washer/dryer is a single appliance that can both wash and dry. 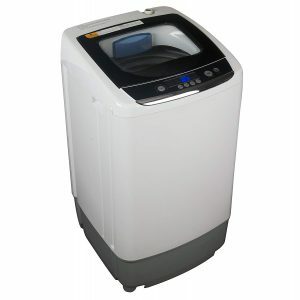 These are sometimes referred to as all-in-one washer/dryers as well. We ranked this not just as our best washer and dryer combo but also our best washer and dryer for apartments. Our team really preferred this to stacking and portable solutions, and going all-in-one also gives you access to features that wouldn’t otherwise be possible. This combination is both versatile and efficient. The entire unit measures just 27 inches wide, and the internal space is 4.3 cubic feet. As far as we’re concerned, that’s an impressive compromise for a machine that fits in an apartment but is essentially a full-size solution—at least for the washer. The LG WM3997HWA isn’t just a sleek-looking washing machine. It has the technology to match. That includes TurboWash via high-pressure nozzles, support for 14 distinct washing cycles, a customizable drying program and an overall quietness that even most standalone washers and dryers can’t achieve. No other product that made our top 10 list boasts more washing cycles than this LG, and there was only one that we tested that did. LG approached this not to minimize the compromises that can come with all-in-one washer/dryers but to say this is the future and we’re already making it better here. Still, our team agreed that we also loved separate models. 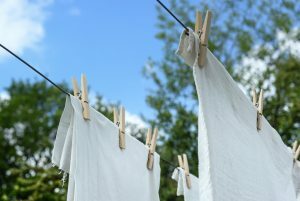 We’ve all been there on a Saturday with loads of wash put off during the week, and having clothes drying as more are washing is a big help. That said, if you can live without that convenience, then this is a combo you’ll certainly want to consider. Click here to see the price of the LG Ventless Steam Washer/Dryer on Amazon. When it comes to the best washer and dryer of 2019, electric is much more common. It’s simply what most people use and have access to in their homes. Most of the sets on our top 10 list are electric. That said, we didn’t want to completely ignore gas because we know how important it is for many users. Fuel type aside, what makes the Kenmore 28133 and 78133 the best washer and dryer set is the performance it delivers, the ample space it provides and exquisite stainless-steel construction with aesthetics. The washer is a top-loader and offers 5.3 cubic feet of space, which is enough for a king-size comforter. The dryer is a front-loader that provides an impressive 8.8 cubic feet of space. Click here to see the price of the Kenmore 28133 on Amazon. Something else we like about this pairing is that it is also the best washer and dryer set under mid-range. Better yet, that’s the complete price not including taxes. That price gets you free scheduled delivery as well as unboxing, hookup, all required parts and, if you choose, haul-away for your old appliances. The washing machine’s triple-action impeller is used in a three-part wash cycle to work really difficult stains out of clothes. This wash mechanism also includes a wash basket motion, nine very powerful spray jets and a bursting action for concentrated detergent to ensure even distribution throughout. The dryer is massive internally, can accept heaps of clothes and dry them in quick order too. A dual-heating element fine-tunes the temperature, and the SmartDry technology includes features like a four-point sensing system, two moisture sensors, a temperature monitor and even quick tossing after a cycle. Click here to see the price of the Kenmore 78133 on Amazon. The Kenmore Elite is the best front-load washer and dryer of 2019. Both appliances are available in several colors: white, metallic and metallic silver. The metallic silver aesthetic fits in with a stainless-steel theme, and the metallic features some stainless but is darker and blacker overall. We prefer both of these options to the white, which was just a little basic for us. Our team gravitates toward the larger 5.3-cubic-foot washers, and the Kenmore 41072 is no exception. However, if 4.5 cubic feet is enough for you, you can opt for the 41302 instead. Click here to check the price of the Kenmore 41072 on Amazon. With the dryer, we opted for the Kenmore 81382 and 7.4 cubic feet of space it provides, but you have a few options. You can upgrade to Kenmore Smart 81982, which provides 9.0 cubic feet of space. For the top dryer, there are also gas options at both sizes, but we did prefer the gas dryer that we ranked number one. Like our choice of electric, what makes this the best washer and dryer front-loader of 2019 is that it costs less unless you go up a model—and that includes it all: delivery, unboxing, hookup, necessary hardware, accessories and the hauling away for the old. This electric washer also features Accela Wash, which is a proprietary technology from Kenmore that enables you to clean full loads in less than 30 minutes. A Stream Treat option eliminates the need to pre-treat, and a wrinkle guard option on the dryer uses quick toss to keep dried clothes wrinkle-free. Steam Refresh takes just 10 minutes to erase wrinkles and get rid of any odors that your clothes may have. Click here to see the price of the Kenmore 81382 on Amazon. If you’re looking for the best washer and dryer combo that’s truly compact and even stackable but also high- end, then we invite you to consider the wonderful Bosch 800 series. The Bosch name may not be as prevalent as Kenmore in the world of washers, but it is among the top washer and dryer brands. 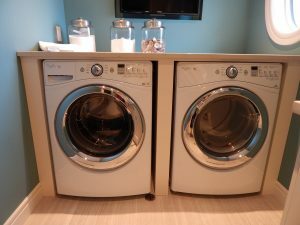 This particular series was also the best stackable washer and dryer we tested. In terms of consumer reviews, the pairing is also very popular among retired couples who have less space now but still want top of the line, so it slots in as a nice washer and dryer for seniors as well. All of this comes at a price, however. This pairing costs more than the full-sized pairings ranked above it, and that’s even without unboxing and hookup. Nevertheless, compactness is often about making sacrifices, but here, the engineers have worked very hard to avoid such compromises. This washer and dryer is coupled more than others as it actually shares the same 240-volt plug. The washer is a front-loader that offers 2.2 cubic feet of space and can complete a load in just 15 minutes, thanks to SpeedPerfect technology. The matching dryer offers 4 cubic feet of space, and both units measure 23.5 x 25 x 33.25 inches, which is stunning to have considering the performance and built quality. The Bosch WAT28402UC and WTG86402UC pairing also includes the WTZ20410 stacking kit. This offers an integrated pull-out tray in order to facilitate the one-up configuration. All in all, like Bosch’s larger machines, these are excellent appliances, and while they may seem a bit pricey to some, if you’re choosing compactness due to size constraints, then we think the added cost is well worth it. Click here to see the price of the Bosch 800 series on Amazon. This Kenmore pairing is the top rated washer and dryer set under budget. You’re combing an excellent price with a well-reputed brand name and a proven—if not a bit basic—model. It’s worth noting that this price generally includes delivery as well as optional recycling of your old hardware but not unboxing and professional installation, so that may cost more if you need it. Click here to check the price of the Kenmore 22352 on Amazon. It is good under budget because the washer offers 4.2 cubic feet of space and can wash up to 19 towels in a single load and the dryer provides an impressive 7.0 cubic feet. The washer is a traditional top-loader, and the dryer is a traditional front-loader. The depth with the door open is 43 inches, and you’ll have very little trouble getting loads into and out of the dryer. The 22352 washer features 12 distinct wash styles and has a control panel that’s well-organized and straight to the point whatever you want to do. It also has an Express Wash option, which we really liked for those times when you just have a small wash load and want it done as soon as possible. The 65132 dryer has a similar intuitive control setup. It offers a Wrinkle Guard option that quick tosses a load for up to 2.5 hours in order to ensure that wrinkles and odors don’t set in. The unit also features Kenmore’s SmartDry technology with two moisture sensors and a temperature sensor, and the drop-down door is sturdy enough that you can pull your dried wash onto it and use it for sorting. Click here to see the price of the Kenmore 65132 on Amazon. Magic Chef appliances are an intriguing option whether you have very little space available to you as a laundry room. These machines are ideal for tiny apartments and even dorm rooms. The 1.5-cubic-foot dryer is particularly impressive because while you can situate it on the floor, it’s small and light enough to go on a counter or similar surface. It can even be mounted on the wall, and most or perhaps all of the hardware you’ll need to do that are provided. In our setup, we positioned the washing machine and then mounted the dryer above, and it turned out to be really convenient setup. The Magic Chef washer offers five wash cycles and three water levels, and it features electronic controls with a digital display to let you adjust them and provide status information. Features include a see-through glass lid, automatic shutoff and automatic unbalance detection. Better yet, adjustable legs let you balance your machine regardless of the challenges that your environment presents. The Magic Chef dryer helps make this the best cheap washer and dryer around. It’s not only super-cute but offers a deceiving amount of internal space that supports up to 5.5 pounds of clothes at a time. The stainless-steel tub is very durable, and like the washer, it features a see-through lid. Magic Chef really sets the standard for what compact washing can be. Our team was very impressed with the build and performance overall. Even if this is just a solution for right now as you save for something more robust, we think you’ll be quite happy with this good value washer and dryer. Click here to see the price of the Magic Chef MCSDRY1S on Amazon. 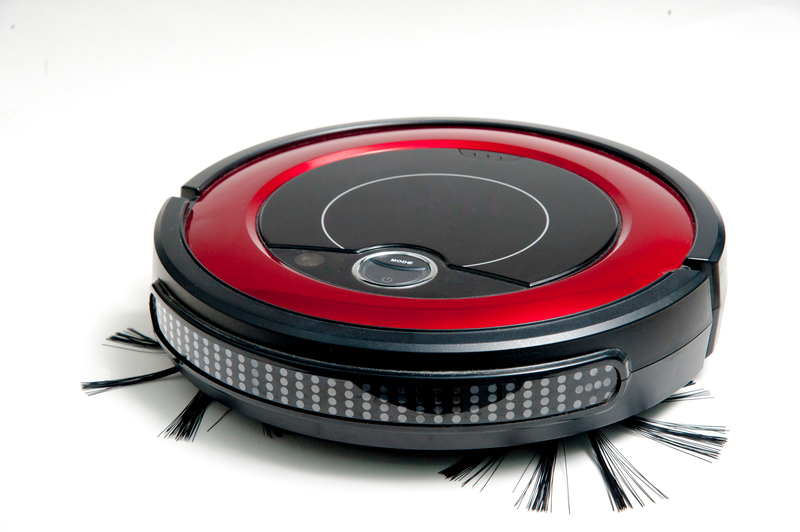 This Black+Decker is the best portable we tested and an impressive little machine! If you’re seeking the finest washer and dryer for RVs or the good portable washer and dryer in general, then we encourage you to consider a brand not normally associated with laundry. This brand really delivers here in part because portable solutions present different challenges than just being compact, and Black and Decker approached this from a really fresh angle in our opinion. It’s also important to point out that this appliance does not include a dryer. This is not a combo. Most portable units wash, and then you air dry. If you’re seeking the best budget washer and dryer that is also compact and may work for RVing, then consider the Magic Chef option above. The total measurement here is 31.5 inches in height, 17.7 inches in width and a depth of 18.1 inches. That makes it easy to store and easy to take out and set up for use. The control panel with LED display is one of the first aspects that jumped out at us. It’s really nice and easy to read with limited light. Everything was self-explanatory, and we were using it within minutes of setting it up with minimal fuss. The drain connects to any sink, thanks to an included quick adapter. The tub is 0.9 cubic feet in size and can support up to 6.6 pounds of clothes. It has a see-through lid and lets you choose from five wash cycles: normal, heavy, gentle, soak and rapid. Rapid is excellent when you just have a few items and want them washed and starting to dry as soon as possible. Some of the other features it has includes a timer control, water control, automatic unbalance detection and a safety function. Click here to see the price of the Black + Decker BPWM09W Portable Washer on Amazon. Maytag Maxima XL may be the sleekest, most modern washer/dryer pairing available. It is a good option but on the pricey side. That said, if the sticker price isn’t an issue and you’re seeking a high-end, rock-solid washer and dryer, then there’s a lot to love with this pairing that Maytag sells as a set. The set includes not just the washer and dryer but a matching pedestal for each. Pedestals are optional in the event that you don’t have enough room, but if you do, they’re certainly worth using because they bring these appliances up to a much more convenient and less backbreaking height. The Maxima XL looks amazing as well. Maybe style isn’t a huge factor when it comes to a washer and dryer, but these look sleek and modern. The graphite color is so nice, and if you don’t have a closed-over laundry room, you’re not going to mind guests seeing these appliances. The washer provides 4.3 cubic feet, which isn’t bad by any means, but may come up a bit short if you’re seeking the washer and dryer for a large family. This is a front-load steam washer with PowerWash, and it’s a very efficient machine. The dryer offers 7.3 cubic feet of space and offers Wrinkle Prevent so that your clothes won’t be all wrinkled if you can’t get to them as soon as the load is dried. This Maytag pairing also comes with a super-impressive 10-year warranty. Maytag guarantees its Commercial Technology. That means that the parts used in these appliances are same ones that Maytag uses in its commercial machines for laundries and other businesses. Click here to see the price of the Maytag Maxima XL on Amazon. This is our runner-up best washer and dryer set. The decision for the best economy pairing can down to the Kenmore set we chose and this Frigidaire pairing. The difference between this set or that set being the best washer and dryer on a budget came down not surprisingly to price. This set will cost a couple to several hundred dollars more. We actually found the aesthetic to be slightly more pleasing with this washer and dryer but couldn’t quite justify it. This high-efficiency top-load washer offers 4.1 cubic feet of space inside. Its mate is a front-load free-standing dryer that offers 6.7 cubic feet. The Frigidaire washer is really the standout that makes this the next best washer and dryer top load of 2018. The lid is solid and features see-through glass, and it won’t slam shut on you. The control panel is well-organized, and inside you’ll find compartments for detergents and fabric fresheners. It supports 12 distinct wash cycles, and the quick wash mode is highly effective for those times when you have a small load and want to get it washed and into the dryer as soon as possible. The Frigidaire dryer features 10 distinct drying modes and also offers a quick dry mode that pairs nicely with the quick wash option mentioned above. Never be without a clean outfit again! It also has the anti-wrinkle option often reserved for more expensive models. This will quick toss your clothes after the drying cycle is complete to prevent any wrinkles from setting in. Click here to see the price of the Frigidaire 7.0 Cu.Ft Electric Dryer featuring Ready Steam on Amazon. Our team really liked this high-efficiency front-loading pairing from Samsung! We just couldn’t find the right place for it. It was nudged out there and over here, but we couldn’t leave it off our top 10 list entirely and so we find a spot for it right here at the end. Like the Maytag set we reviewed earlier in the list, this set comes with a washer, a dryer and a pedestal for each. The pedestals are optional and do increase the overall height of the machines, but if you have the clearance, then they make loading, unloading and cleaning the machines so much easier. The washer has a 4.2-cubic-feet capacity, which means that you can load almost three standard laundry baskets at a time. This is a steam washer, and unlike most, this releases steam from the bottom, which was more effective in testing and generally eliminated the need for pre-treating laundry. The machine also features sanitization cycles that eliminate most allergens and bacteria. 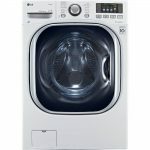 The WF42H5200AW washer as well as the DV42H5200EW dryer are also impressively quiet, and that’s apparently due to Samsung’s patented VRT technology. The dryer offers 7.4 cubic feet of space for loads and features 11 distinct dry cycles as well as four temperature settings. Some of the other features it boasts include steam, wrinkle prevent, moisture sensors, Smart Care and a lint filter indicator. It also has a reversible door to make usage convenient wherever you have to locate it. Click here to see the price of the Samsung HE Front-Loading Pair on Amazon. In terms of having the same experience that the average consumer will, this was probably among the most interesting reviews we’ve conducted. We had to order and receive washers and dryers from a lot of different sources including locally as well as online. That gave us insight into not just which is the best washer and dryer but into the best place to buy a washer and dryer and where to get the best washer and dryer deals. There was also the challenge of testing these machines once we’ve got them. First, we installed them ourselves, and we’re not professional plumbers and electricians. We range from advanced do-it-yourselfers to not quite handy at all. Once installed, a lot of our initial testing is subjective. How does this pair look and feel? We also do a proper first load, and assess how easy it was to load, how long washing and drying took and how loud the machines were. The room we use is large, temperature-controlled and outfitted with humidity monitoring. 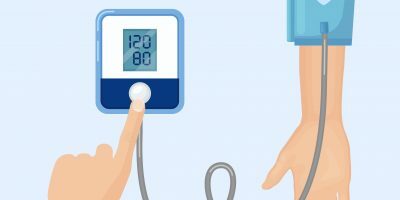 Multiple stations allow us to test more than one machine at a time, and cold water and hot water flow meters let us determine how much water a particular washer consumed. Our team can also evaluate the electricity consumed, voltage required, water pressure, water temperature, water hardness and so forth. The test clothes we use are quite dirty and stained. Once the first load is complete, we assess the job done. How well does the washer remove dirt and grime? How fast and evenly were the clothes washed and then dried? Is there any excess detergent or other substances? How much did this load cost to run, which we then evaluate at the end within the context of all the machines tested. After the first load, the fun begins. We really abuse these machines in as many ways that we can. 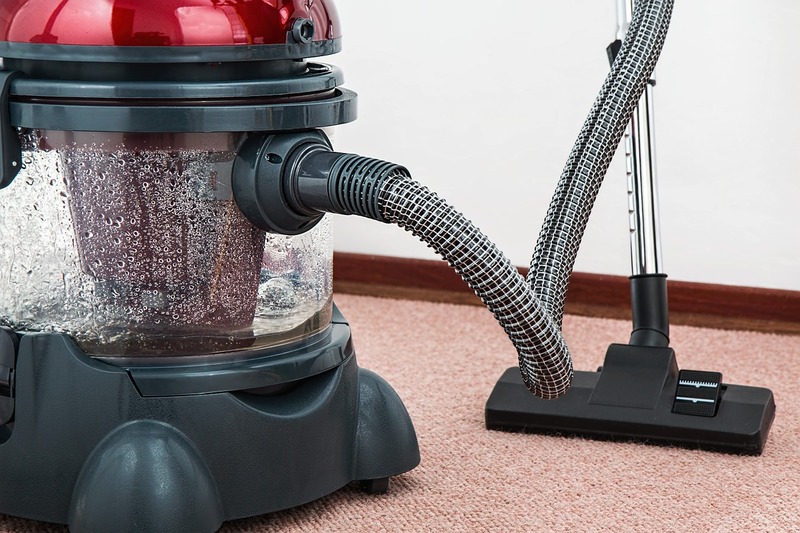 If an owner’s manual says not to use a particular chemical, that’s precisely what we use. We also run rocks and other heavy items through to simulate user mistakes as well as years of wear. The first thing to determine is how much space you have available. If you’re short on space, then you may want to look to portable options or perhaps even the best stacking washer and dryer. Side by side is of course a lot more convenient, and you should go that route should you have the luxury of space. Budget is next. Decide how much you want to spend. Determine how much you can spend. While it’s a tough sell to someone currently lugging laundry bags to a laundromat, you’re better off waiting and saving some more so that you can get the cubic footage, style and features that you really want. Your three main options are front-loaders, agitator top-loaders and high-efficiency or HE top-loaders. Most compact options are front-loaders, and not everyone is a fan of the style, so you have to pick which configuration works best for you and your home. HE models tend to take a bit more time to clean clothes, but they use a lot less water and the can offset the increased sticker price over time. 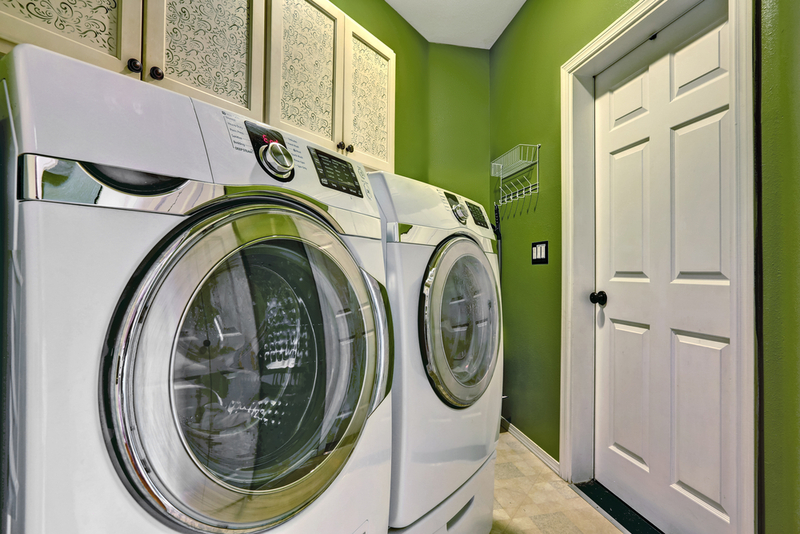 Don’t worry about when is the best time to buy a washer and dryer. Deep discounts generally only happen at end of life, and sales—even Black Friday sales—generally aren’t worth waiting for. One of the fun parts of growing up and owning your own home is being able to have a nice big old bed whether you enjoy it alone or share it with a better half. With that kind bedding comes the challenge of keeping it clean. In our experience, it’s really annoying to have the best brand of washer and dryer that you really love but have to tote your king-sized comforter to a laundromat on a regular basis. So, if you have or will have a king-sized comforter and are considering the best washer and dryer for the money, make sure you accommodate the bedding. The industry rule of thumb is that a king comforter requires a 3.8 cubic feet machine or larger. Whether you go with front load or top load is a matter of preference. We tend to prefer top loading for large comforters but prefer front loading more overall. The main flaw consumers should watch for is reliability. There’s a common belief that planned obsolescence is a problem with even the best washer and dryer brands. We’re not necessarily convinced that’s true, but there does seem to be a big difference in how reliable some brands are. Our team recommends zeroing in on brands that have earned a reputation for reliability among reviewers, appliance repair and the consumers themselves. 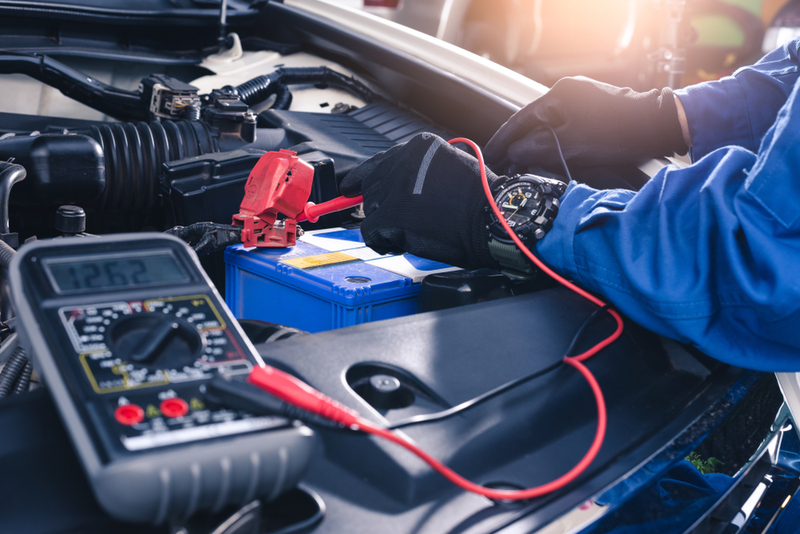 A reliable brand is a great place to start but never assume that it extends to all models because even the best have released some clunkers (source). Pay particular attention to the motor. 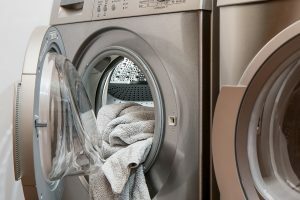 A lot of small things can go wrong with a washer and dryer, but those are simple fixes if you’re handy or relatively inexpensive if you’re not. Motor problems are another story entirely, and a bad motor often means buying a new washer or dryer. Avoid overlooking control panel issues. The best buys at washer and dryer should be simple to us but some interfaces are overly complex or imprecise. It’s easy to pass bad controls off as a minor deal when everything else seems perfect, but those issues will become more frustrating and annoying with time (source). Know what the detergent restrictions are if any. Compare those to your preferences. Also, don’t skimp on load size. This isn’t necessarily a flaw per se but a common mistake that consumers make. One person can get away with 1.8 cu ft. Two people can get away with 3.5 cu ft. If you’re buying for a family now or a family to be over the next few years or so, then get as close to 5.1 cu ft as you can afford. Here we are at the end of what may be the most fun, challenging and rewarding review project we’ve ever tackled. This is a product that everyone has in their homes, and these weren’t simple appliances to test and compare. We also felt a great deal of pressure to get our assessments as right as possible and to answer all of the questions you’re likely to have when choosing the best washer and dryer for you. We’re confident we’ve been able to do that and hope that we’ve made this process for you. If we have to emphasize one point, it’s that you should never skimp on cubic footage. The bigger the better. Get what you can afford. Even if you don’t use it mostly, it will make your life easier now and in the future. I like the Kenmore reviews however with Sears going out of business do you still think Kenmore is a good choice?